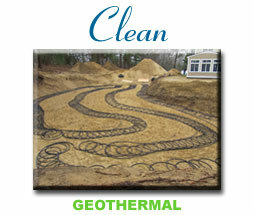 Geothemral Rebates and our Geothermal contractors. You may have noticed multiple "Solar Companies" going out of business. 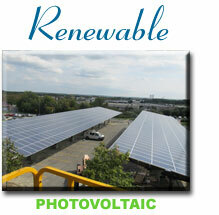 We are pleased to tell you, we installed solar systems that have been in operation since 1978! Our Solar Installation Division specializes in Net Zero Solar residential and commercial ground mounted arrays and solar carports as well as roof mounted designs. We offer complete construction services including design and engineering. SGE will oversee your project from start to finish. Our solar services include: Site Surveys, system design, EPC contracting, Site work, Steel frame construction for ground arrays and solar carports, system monitoring and power purchase agreements (PPA). We are Experts in geothermal rebates, geothermal design, installation and financing options with our geothermal contractors. Massachusetts resident? You can receive a rebate as high as $12,000.00 for installing a Geothermal Heating & Cooling system in your new home. See example on page 16. (The PDF document is from Massachusetts Clean Energy Center MassCEC.) Learn more about our Geothermal Services. Our MA Geothermal and RI Geothermal HVAC division provides unmatched system design and mechanical installation for ground source heat pump systems. All our work is performed in house from initial design to start up as well as service and maintenance to protect your investment going forward. MA Geothermal and RI Geothermal HVAC Systems, Design, Heat Loss Calculations, Closed Loop design and Install, Standing Column Well Design and Install, Sheet Metal Fabrication and Install, Radiant Heat design and install. 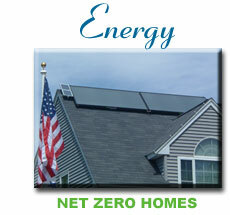 We Accept the Net Zero Challenge Contact Us to find out more! Geothermal Rebates and our geothermal contractors and our MA geothermal installers offer Net Zero Construction of MA Solar Installers and RI Solar Installers of Massachusetts geothermal installers offering closed loop installation, HVAC, standing column well installation and radiant heat. Massachusetts solar installers offering, solar ground mounted arrays, solar carports design engineering and construction. We are the ONLY contractor in Massachusetts and Rhode Island who design and install BOTH MA Solar Installations of Net Zero and RI Solar Installations of Net Zero Geothermal solutions! If you don't want to hire a company that can't do it all, hire a company that does: Southcoast Greenlight! We love telling our customers about Massachusetts Geothermal Rebates, now is the time and Southcoast Greenlight is the place!